Recorded Live at Hallenstadion, Zurich , Switzerland - May 30, 1980. Excellent Soundboard Recording :: Silver Cd :: Lossless FLAC. Files: 13.:: Size: 358.78 MB (flac). 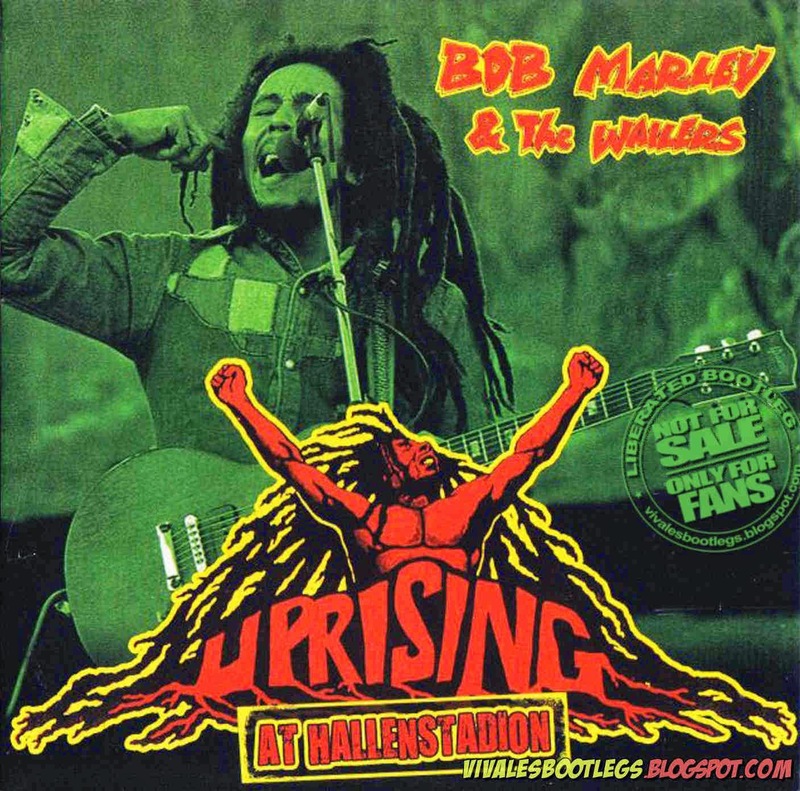 Personnel: Bob Marley – vocals, guitar / Rita Marley – backing vocals / Judy Mowatt – backing vocals / Marcia Griffiths – backing vocals / Junior Marvin – guitar / Al Anderson – guitar / Tyrone Downie – keyboards / Earl Lindo – keyboards / Aston Barrett – bass guitar / Carlton Barrett – drums / Alvin Patterson – percussion. 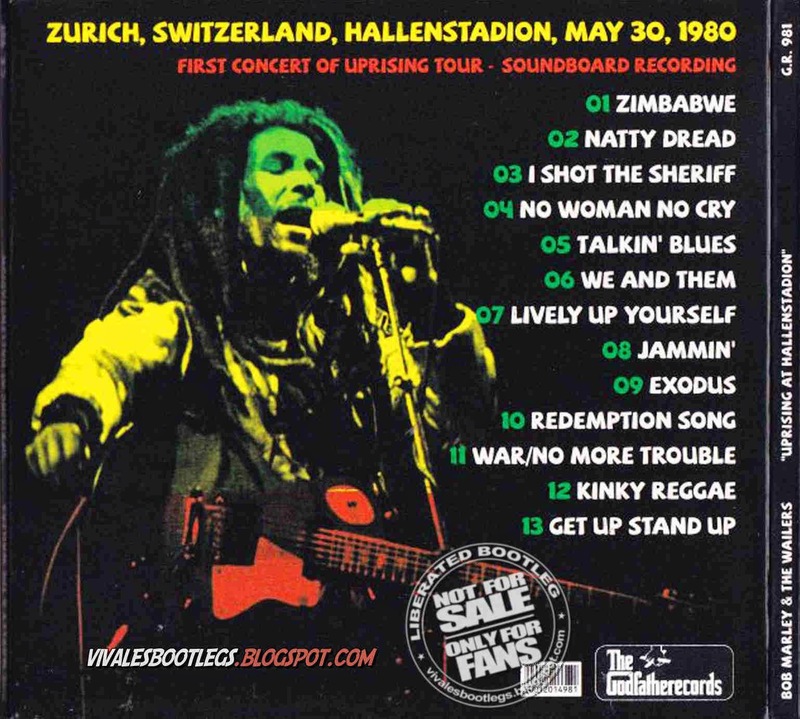 Uprising At Hallenstadion features an incomplete soundboard recording, missing the first three songs, Natural Mystic, Positive Vibration, and Revolution. The recording itself is excellent and well balanced with all instruments and vocals being well heard and while low in the mix there is enough audience noise to keep it from being too dry, a true joy to listen too. (Info from Collectors Music Reviews). Lineage: CD > EAC (WAV) > TLH (FLAC level 8).